The mossy and swampy Skull Island is unchartered in 1973 because – of course – Google Maps hasn’t been invented. A flurry of military helicopters flies overhead, giving us a wide rim look at the entire island (great visuals! ), and the movie wastes no time with springing upon us an immediate surprise attack by Kong. From there, it’s a commotion of predicaments and ego head-butts between survivors that keeps this adventure throttling forward. Much wit is provided especially by Reilly as a daft funnyman who is painfully out of date with his ideas of what’s going on in the real world. I felt the taste of some gruesome violence here and there but I noticed that often the case the director Jordan Vogt-Roberts would deal with the worst deaths in discreet silhouette. One victim terribly has his limbs ripped off by terradactyl winged beasts, but cast against the sun, we see it all in black shadows. It is violent, but not too graphic. Kong turns out to be not the worst beast of the island. That would be some kind of ruthlessly predatory raptor-lizard beast (it has no real classification). Meanwhile Larson takes important historical photos of all this island action with the kind of restraint one has when you only have a roll of twenty-four in the camera. Brushed in every other scene are some very tame flirtations between Larson and Hiddleston. The chemistry is there, and although we can’t take them too seriously, we like ’em. With Jackson going military gung-ho, insisting on offensive attack strategies, there’s not much time for romance anyway. 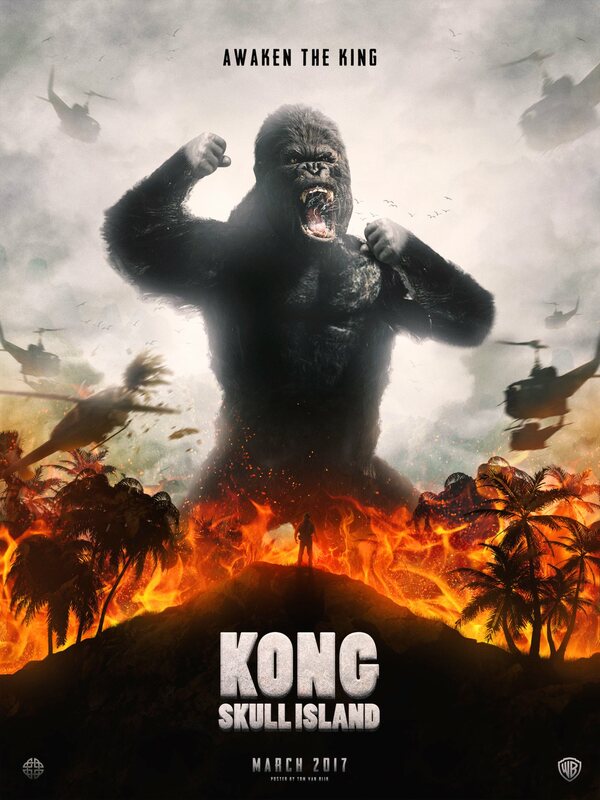 “Skull Island” doesn’t have the majesty and avante-garde beauty of 1933’s “King Kong” or the epic gloriousness of 2005’s “King Kong,” but this unpretentious entry is not looking for comparisons. It has its own slyness and idiosyncratic rambunctiousness. I prefer its’ kind of hamminess over the self-seriousness you feel in overbloated blockbusters. 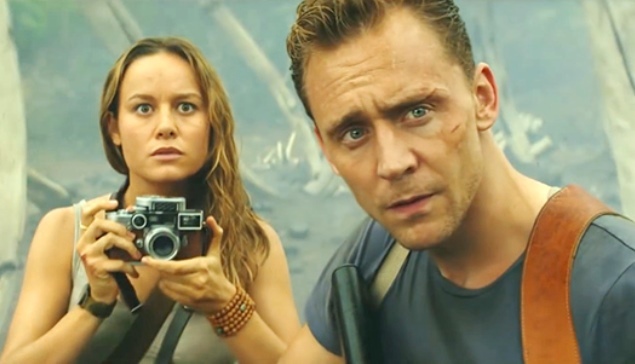 It’s not a movie you think much about a day later, but in the moment, “Skull Island” snap, crackles and pops. Film Cousins: “King Kong” (1933); “Predator” (1987); “Jurassic Park” (1993); “King Kong” (2005).